Whether you’re an employee looking to further your career, an entrepreneur or a business executive targeting new clients, there is nothing like a job interview or a new business pitch to put your communications skills to the test. How you come across to a potential employer or client can be as important– if not more important– as your business ­­­skills themselves. Employers and clients not only look for your skill set; they want to know your personality. 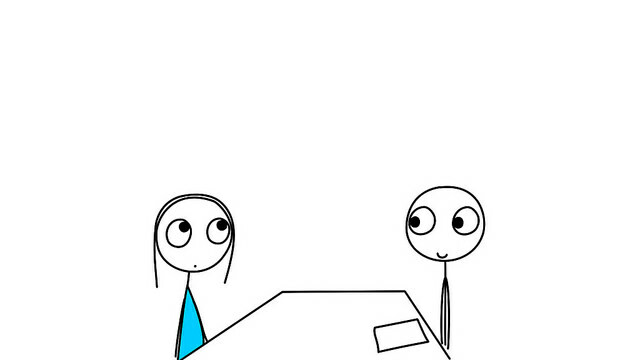 And, sometimes it just comes down to the chemistry between you and the interviewer(s). It’s understandable if you have the jitters when it comes time for the job interview or business presentation. After all, it’s important to your career and to your business growth. Here are some tips to help you prepare for that big job interview or business pitch. Expect to be nervous. It’s only natural when there is something at stake. So, expect some amount of nervousness. Go with the flow, and accept that your nervousness may be excitement and anticipation, rather than fear and dread. And remember that the interviewer has as much at stake as you do, in hiring the right person for the right job. Carry yourself confidently. How you carry yourself is as important as the clothes you wear for that interview or presentation. Look in the mirror and view yourself both standing up and sitting down. Remember that first impressions count, so the way you enter a room for that first introduction or handshake is important. When sitting down, remember to sit up straight, but not stiff. Practice your stance beforehand. Notice your interviewer’s body language, and take a cue from that. If they are sitting erect, do so. If they tend to lean forward, you may want to slightly do so as well. Rehearse your answers. Be sure you are comfortable with your responses in advance of the interview. There is no substitute for advance practice. You’re prepared for your upcoming job or new business interview. You’ve reviewed anticipated questions, rehearsed your answers, and are aware that, when the actual time comes, you may be a little nervous. That’s only natural. You’re aware of the value you can bring to the new company or client, and you know how to carry yourself with poise. Here are some additional pointers to help you through that big interview. Breathe deeply. Practice taking deep breaths when yourehearse your answers, and before you begin speaking at the actual interview or presentation. Breathing deeply helps you relax, helps slow down that beating heart rate, and also helps improve voice quality. Don’t race your words. When people are nervous or excited, there is often a tendency to speak fast. This signals, “I want to get it over with.” Unless you have been allotted a specific time frame for your interview or presentation, take your time. You will sound more authoritative, and in control. Be energetic and enthusiastic. But don’t overdo it. Too much enthusiasm could signal that you’re desperate for the job. Let your personality shine through. Be your real and genuine self; and not who you think the interviewer or potential client is looking for. If the fit is there, it will come through. If the chemistry isn’t there, know that it wasn’t meant to be, and that there will be other opportunities. It’s all about having a conversation between you and your prospective employer or client. If you can relax and enjoy it, so will those on the other end. And, who knows, it may be the job or client of a lifetime!